* How does my partition plan look? 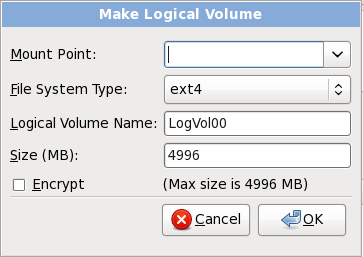 * What should I enter as the mount point for the xlog partition? * For filesystem type, avoidance of corruption is more important than perfect performance so the plan is to use 'noatime' but leave 'data=ordered' for the partition mount options - what do you think? Note: It is likely that the total size of all databases in the pgdata partition will not grow beyond 20 GB in the next few years. * Partitioning looks ok, personally I would give less to the OS and leave some spare for a quick addition if you need it, or specifically for your applications. * Set the mount points to whatever you are comfortable with! * Since the database is probably going to fit entirely in memory you don't really need to worry about read performance. * Also consider how you are going to backup the cluster/databases and where the backups will be written to. * noatime is good but doesn't give you a whole lot of improvement. Setting the read ahead to a decent value will give you a big boost (for me increasing 256 to 8192 was the sweet spot). * How much would you suggest reducing the OS by and allocating to spare? * I recognize there is a lot of preference involved in defining mount points. However, I would like a recommendation. I do not know what values to use as mount points and I would be more comfortable with a suggestion from an Experts Exchange expert - what values would you enter for the mount point field in the CentOS window that asks for mount point during this disk setup step? * Please suggest a plan/strategy/approach for where to backup the databases and where the backups will be written to. * Why won't noatime give a lot of improvement? 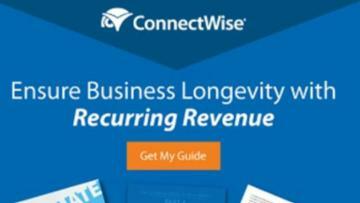 * How is the read ahead value set? * noatime = depends on your usage I guess, but I tested it and got about 5% improvement for mine. * If the OS partition only has 20 gb then, assuming the JBoss app is on the same partition, the space could quickly fill up with Apache logs, JBoss logs, attachments uploaded by web app users, etc. Are you suggesting another partition for Apache and JBoss? If you are suggesting another partition for Apache and JBoss, what mount point value would you put in the field I referred to in the previous post. * I'm not familiar with JBoss and not much with Apache, but you could either increase the OS partition to something that fits all of them or create separate ones.. /apps, /opt/apps, /opt/apache, sometihng like that. So you are suggesting significantly more partitions than what I had originally planned? Is this correct? If so, What is the reason for having separate partitions for each of the following (why not put them on the same partition as the OS)? If you already have other servers, probably best to follow whatever standard they are using. I have a good amount of space, don't need to go with a minimal setup and uptime is a high priority (much higher than maintenance). What would be a less minimal approach to the partitions? Thanks very much for the follow up. What do you think about using an ioDrive for the pgdata partition (there are some amazing performance stats on it for this type of application)? I haven't used any SSD's before so can't comment. I'm sure they are faster in some cases, but in your case with a 20GB database it wouldn't be worth the extra cost. For this server, what would you suggest for the size of the partitions in this alternative partition plan? That leaves about 100gb spare to allocate somewhere if you need it. I think I gave plenty of answers and suggest one of my comments as an answer. This question has been classified as abandoned and is closed as part of the Cleanup Program. See the recommendation for more details.